There are a lot of things happening with WordPress at the moment – which is always a good thing for those of us that love the WordPress platform. 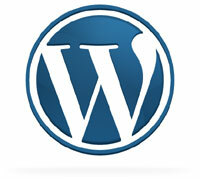 Just yesterday the newest version of WordPress was released – WordPress 2.8.5. If you haven’t already, it’s highly recommended that you upgrade to the latest version. If you were running 2.8.4, then you should see the auto upgrade button on your dashboard. A lot of concern lately with WordPress has been the exploitation of files. If you feel that your blog has been exploited, you can visit this link to get more information regarding a solution. Also, for those of you interested in being part of the WordPress 2.9 beta testing team, you can visit this link for more information. Get upgraded, and keep blogging with WordPress!